The sound of classical music drifts around walls decorated with golden pears. A pile of books including one by local author Hunter Davies and a cookery classic by Mary Berry are piled in a colourful heap on a table by the window. A pot of white cyclamen heralds a spring that seems reluctant to arrive. Vivid pink macarons call their siren song from a jar on the kitchen top. 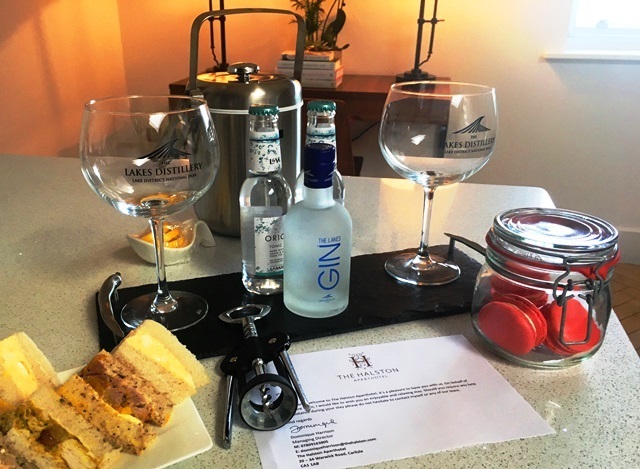 I’ve just checked in to The Halston, a luxurious aparthotel in Carlisle on the English/Scottish border not far from the Lake District and am already feeling VERY welcome. 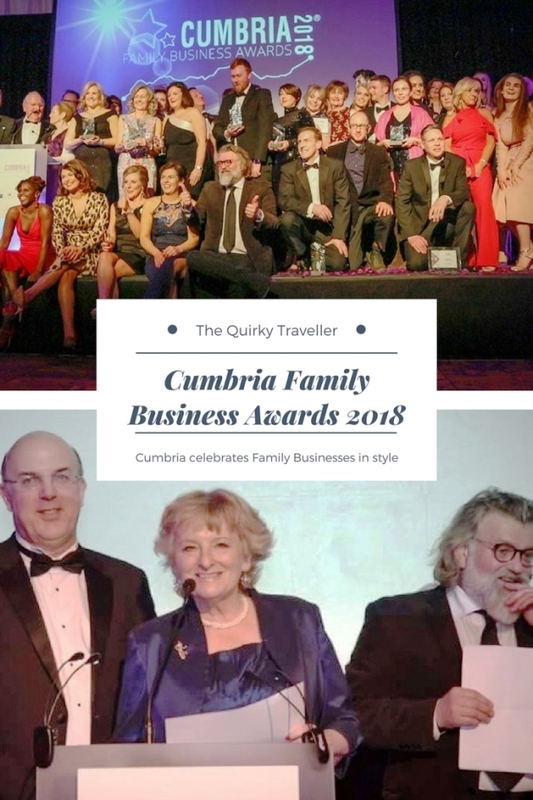 I’m at The Halston as I’m attending the Cumbria Family Business Awards night, being held at the Garden At Eden on the outskirts of Carlisle. 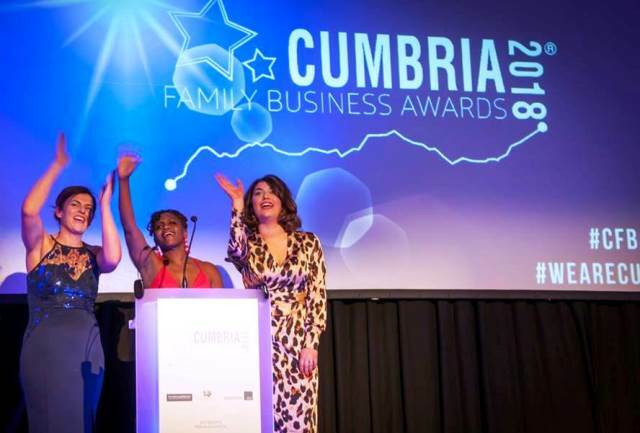 This evening there will be over 300 local family businesses gathered together to find out who’s won various awards and have a jolly good night out. 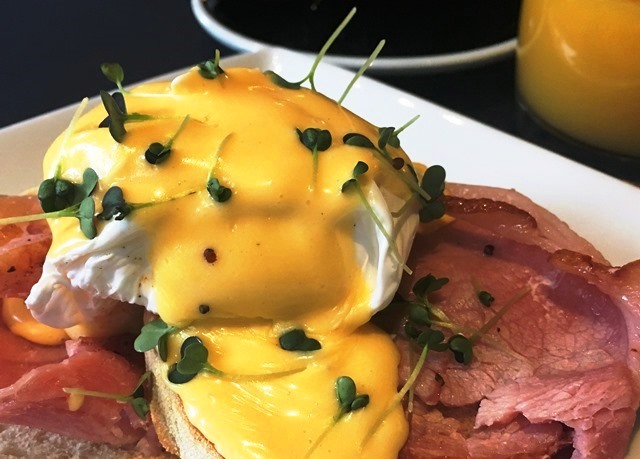 Our host, Si King, one of the Hairy Bikers, those hirsute cooks who travel the world on their motorbikes cooking up a storm, is also staying at The Halston, along with a number of finalists and guests. 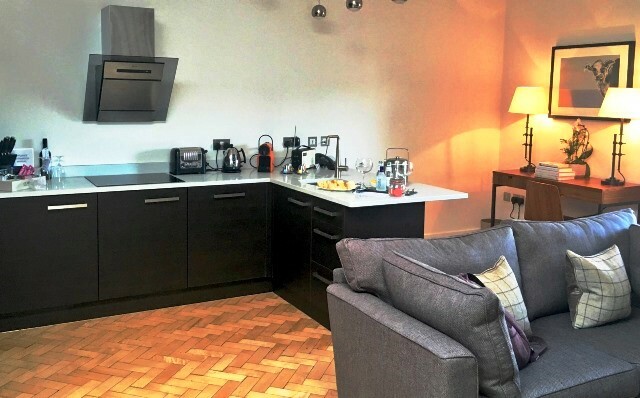 The self-catering apartments vary in size from one to three bedrooms, all decorated to a very high standard with everything need for a really comfortable stay. As I have some time before being leaving, I pour myself a G&T, grab a sandwich and have a look through the books and magazines provided. Then it’s time to change. My apartment has a large lounge-dining room with well-equipped kitchen area, a twin-bedded room and a double bedroom with en-suite shower room, plus a large bathroom. Luxury toiletries are provided from another local company Bath House, winners of the Manufacturing Award, and big fluffy towels add a cosy touch. I have a quick bounce on the bed to test its comfort – bodes well for sleep tonight. Then it’s time to don the frock and head off for a night of fun and celebration. The night is a roaring success, with Si King doing a great job hosting the awards and keeping us all entertained. Winners celebrate in style and all the finalists make the most of their time in the spotlight. The sponsors are clearly having a blast and event organisers Sue Howorth, founder of The Family Business Network Ltd, Soph Newton and Janett Walker of Flock PR co-ordinate the flow of the evening and manage to have fun along the way. 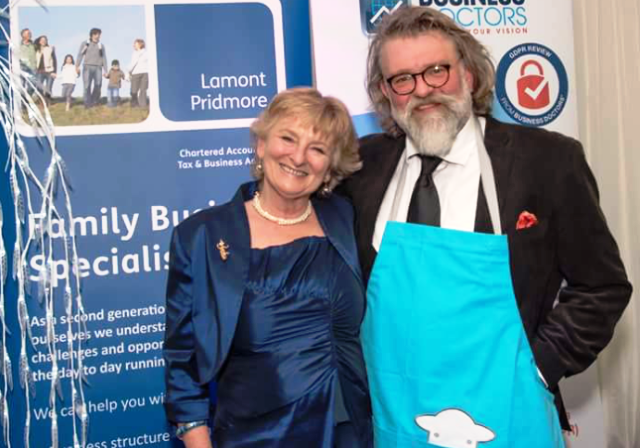 We all agree that this year’s is even better than the inaugural event, Cumbria Family Business Awards 2017, hosted by Si’s Hairy Biker partner and local lad, Dave Myers. Winners receive beautiful awards made by local artists Jo Vincent, Daniel Cooper and Miles Moore. The Outstanding Cumbria Family Business of the Year is Pioneer Foods, a very popular choice. I’m a judge this year and present the fab team at Stalkers Transport Services with the Transport & Logistics Award alongside Paul Andrews of the UK Family Business United.I enjoy myself so much on the dance floor later that I nearly miss the party bus back to The Halston. Checking out of The Halston, I’m really delighted to have discovered another quality place to stay in Cumbria. 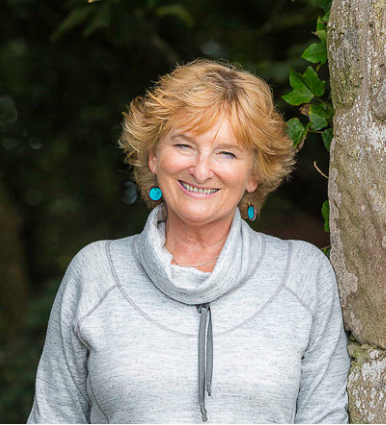 I can find no fault with either the quirkilicious accommodation or the service, which is both friendly and very helpful. Many thanks to Domique and her team. Find out more about The Halston Aparthotel here. Main photo of winners by Victoria Sedgwick Photography. Quick Travel Survey - and an Amazon voucher might be yours! 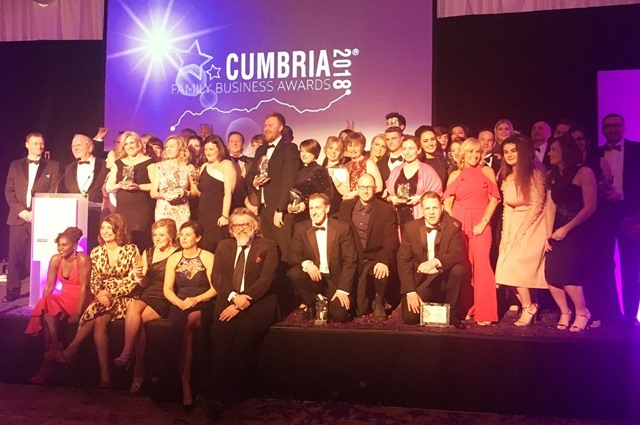 It was a real privilege to be part of the Cumbria Family Business Awards. Meeting such hard-working, inspirational people makes you realise just how important family businesses are to this country. They truly are the backbone of our lives, with long-lasting values that often ensure their longevity in times of trouble and manageable growth in the good times. Zoe, it was such a fantastic evening. Thank you so much for your wonderful comments. Of course having you along as a judge was the icing on the cake and invaluable to us. Thank you. So glad you enjoyed the Halston too. Sounds amazing! Zoe it was a pleasure to have you involved. The Halston sounds fantastic too! Glad you enjoyed the whole experience, now for #CFBA2019!!! It was really good night Soph and well done for organising such a successful celebration. Sure it will be even better next year – maybe BOTH Hoary Bikers hosting then?! Thank you 😉 It wasn’t easy to keep quiet after the judging as I was so excited about the Awards! Very tough call on some categories, whereas in others the winner stood out from the start.